Voters are allotted one vote per day and are encouraged to vote up until the last day, 11:59 p.m. CST on Nov. 7. The Cherry Hill Police Department consists of dedicated community heroes who make Cherry Hill a safe place for every resident. Some of the most dedicated members of the force happen to be covered in fur and have four legs. Whether it is keeping drugs off the street or searching for a missing person, these furry comrades play a very important role. In the history of the police department, K-9s have been utilized in missing person cases. The current statistics provided by the department state that 27 people have been found as a result of the K-9s, and arrests directly resulting from K-9 actions are more than 140 in Cherry Hill, not including this year. In 2005, one of the K-9 units of Cherry Hill received the Criminalistic Excellence Award for Patrol Dog Case of the Fourth Quarter for the Region 6 of the United States Police K-9 Association. Although each dog makes a monumental impact to the safety and security of Cherry Hill residents, it is an overall costly expense in the department’s budget. “It’s extremely expensive to run a canine program. The dogs are expensive, they are about $8,700 right now per dog. That’s just getting the dog from the breeder, then we have to send the dog with an officer to training so there’s food costs associated with the dogs, maintenance costs with vet bills and things like that. And then also equipment costs because canine officers have to have their own cars because it’s special equipment that goes into the cars for the safety of the dogs,” Police Chief William Monaghan explained. The unit consists of four dogs, along with the officers who work with them to ensure a successful outcome in training and operations. Each dog is cross-trained in basic patrol and narcotics detection that involves a rigorous, 15-week course in each. The importance of K-9 divisions has been acknowledged by companies that are eager to extend a helping hand and establish grants for K-9 units. Aftermath, a nationwide company that specializes in trauma cleaning and biohazard removal, has stepped in to host a K-9 grant program that will award $15,000 in grants to five departments that gain the most votes for their existing or prospective K-9 programs. The grant money can be used for maintenance, safety equipment or officer training. The grant money goes up to $5,000 for first-place winners, and would deem valuable for the Cherry Hill K-9 division in providing the proper equipment for two additional dogs. The K-9 division also receives donations from the public to its Canine Trust Account. 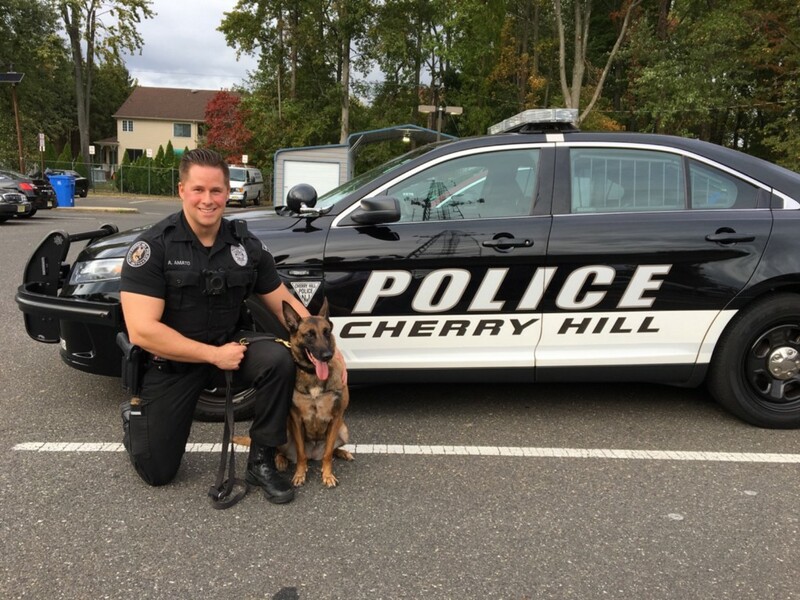 The police department urges Cherry Hill residents, as well as those living in the surrounding communities, to cast a vote for the Cherry Hill K-9 Unit. Voters are allotted one vote per day and are encouraged to vote up until the last day, 11:59 p.m. CST on Nov. 7. To donate to the Canine Trust Account, send a check to the Cherry Hill Police Department made out to “Cherry Hill Police K-9 Trust.” To cast your vote for the Cherry Hill Police K-9 Unit in the Aftermath contest, go to http://www.aftermath.com/k9-grant/.